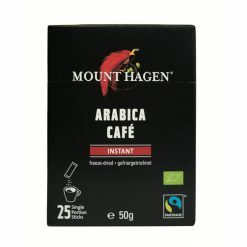 Premium quality organic fairtrade freeze-dried instant coffee in single-serve sachets. 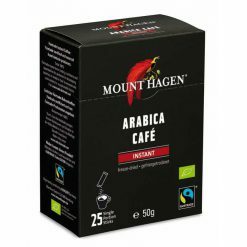 A blend of 100% Arabica highland coffee beans sourced from Papua New Guinea, Peru and Mexico, this coffee has a naturally smooth and rich flavour. It is grown 100% organically using only natural methods of cultivation and is packaged in convenient, single-serve sachets.